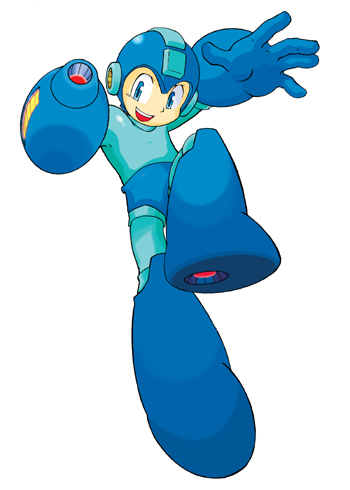 Mega Man is the first game character to receive a personalized aroma. While many real-world occurances - hearing a cell phone start making this noise, for example, or this one - possess the power remind us of a specific game, nobody has yet been able to pin down a scent or smell that has the same effect. What exactly does a video game, or a video game character, smell like? In a bid to answer this question, a team of perfume specialists has assembled at a company called Epic-Scents to create a range of smells designed to reflect our favorite game characters, starting with Mega Man and Proto Man. For those of you thinking, "Hold up, Mega Man probably doesn't smell that great," don't worry. The scents involved will be aimed more towards evoking the characteristics of our heroes, rather than their straight-up scents. "We really want gamers to know that we are making a fragrance that is an experience of who that character is," said Jim Kavanaugh, Epic-Scents project director, in an interview with Polygon. "We're not saying this is what Mega Man the metal robot smells like, this is a fragrance that expresses him." Kavanaugh said that a vital part of the scent development process was asking gamers what three (as most perfumes are composed of three overlapping "notes," specific smells that work together well) primary characteristics they associate with Mega Man and Proto Man. For Mega Man, gamers identified purity, masculinity, and bravery. In his scent - named "Cool Rush" - these traits are reflected by the pure whiff of a tropical breeze, the manly essence of musk, and the stinging bravery of citrus, respectively. "There are strong ties between memories and fragrance," Kavanaugh said. "We want to tie that fragrance to that character, when you use our air fresheners you will remember the nostalgia of playing that game." Epic-Scents acquired the right to tie the scents directly to Mega Man and Proto Man from Capcom itself, and say that the publisher will have an advisory role over the resulting perfumes. At the moment, this is the only such deal on the perfumers' books, though they say they hope to expand their range in the future. Kavanaugh noted that the group is always looking for input from gamers, so if you've got a specific character you'd like to sniff immortalized in aroma, give them a shout.